Word of negotiations between the to studios leaked out late last year, giving fans hope, but last night Marvel officially announced that they’ve reached an agreement that will see maybe their most popular comic book character finally appear on screen opposite the likes of Iron Man, Thor, Hulk, Black Widow, and others. 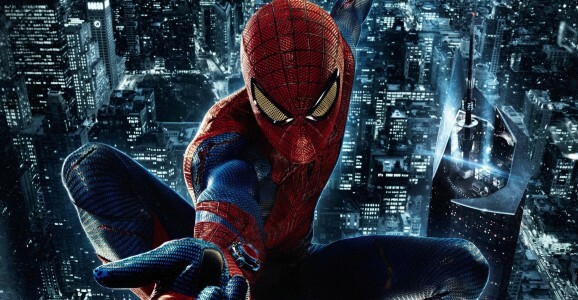 As per the deal, Spider-Man will next appear in a Marvel film, and Sony will then release another solo Spider-Man film on July 28, 2017. Though that standalone film will officially be a Sony joint, a team of Marvel producers, including president Kevin Feige, will co-produce. From there the two companies will join forces for “a new creative direction for the web slinger.” And though Marvel will be involved creatively, Sony will handle all the money, financing, and distribution. This couldn’t come at a better time, canon wise, as Spider-Man plays an integral role in the Civil War storyline, which obviously will be a big part of the upcoming Captain America: Civil War. And according to a report from the Wall Street Journal, this is precisely where Spidey will make his MCU debut. This makes sense for a variety of reasons. Like I said, he is important in to this arc in the comics, and the only other Marvel movie scheduled between this summer and the July 2017 date are this film and Doctor Strange. Given that things have shifted around substantially, you have to wonder how these changes are going to alter the plan for Phase 3. Though the release dates for Infinity Wars don’t move, the lead up, as well as the action between the two parts, is significantly different. This might necessitate some narrative manipulation to make sure all the various threads, new and old, line up and come together like the studio envisions. This is all obviously in the very early stages, but it’ll be exciting to see Spider-Man come home (at least in part), and we’re stoked to see him join the MCU, where he belongs and can hang out with other classic superheroes. Now all they have to do is cast a new actor to play him, hire a writer and a director, and make a good movie and fans will be happy. No pressure or anything.